There are many misconceptions about white-coated German Shepherd Dogs and the gene that expresses their coat color. First and foremost, white German Shepherd Dogs are NOT albinos. Albinos lack all pigment where white German Shepherd Dogs have brown eyes and black pigment on their noses, around their mouth, on their paw pads, around their eye rims and sometimes have darker skin and nails. It was once thought that breeding to white German Shepherd Dogs would definitely lead to color paling, but the white gene is not a dilute gene (such as liver and blue) but a masking gene. A masking gene masks the real color and pattern of the dog. A white German Shepherd Dog can be any color and pattern found in the breed including black, black and tan, black and red, black and silver, black and cream, blue, liver, sable, saddled and bi-colored. The only possibility for dilution when using a white dog in a breeding program is if the white is masking a diluted color such as a black and silver, black and cream or is a blue or liver. Because it is unknown what color or pattern a white German Shepherd Dog is masking, it is hard to determine what colors the dog will throw when bred to a non-white German Shepherd Dog. The white gene is also a recessive gene. The gene ONLY expresses coat color and is not linked to poor health, temperament or any other part of the dog’s genetic make-up. The black coat color is also a recessive. 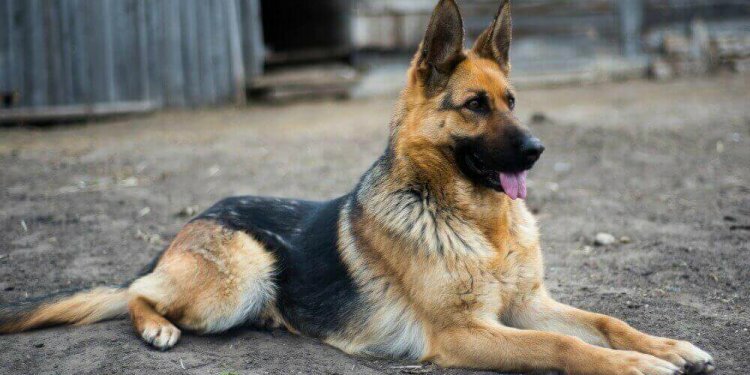 A non-white German Shepherd Dog can carry the gene but not express it. When breeding non-white German Shepherd Dogs, the only way the gene can be expressed in some of the offspring is if both parents carry it. When a white dog is bred to a non-white dog that does not carry the gene, none of the offspring will express the white coat but they will be carriers of the white gene. If offspring are bred to a white, some of their offspring will express the white coat color. White bred to white will always produce white offspring. Many of the misconceptions about the white coat color came into existence before modern genetics research. Many people thought white was linked to albinism and other health issues. Although these thoughts have been found to be untrue, the misconceptions have been hard to correct.